and Thomas Wolfe have in common? If you can answer those two questions you probably don't need to read any further. So you've written a book? You think it's good enough to publish and you want to share it with others. You're going to self-publish because you cannot stand to wait on the lengthy and frustrating process of submitting it to commercial publishers. The process is so easy -- just a little formatting, layout a cover, make a modest payment and you're in print. It makes you wonder why traditional publishing companies still exist and what it is that they do. There is one very important function of the book production process that has been left out in the above scenario - editing. Editing is probably the main reason that commercially published works are generally more successful than self-published work. You've labored over it and poured your heart into it. You've fought with every sentence until it says just what you mean. You've spell-checked and grammar-checked it in your word processing program and made all the necessary corrections. Your friends and family have read it and are great fans. They think it should be published, that it's just fine as it is. The problem here is that you can't see what's wrong with your book because you're too close to it. Your friends and family are almost certainly fonder of you than of your work so even if your work were almost unreadable they would love it because they love you, or would rather lie to you than hurt your feelings. Secondly, chances are your friends and family know less about writing than you do so even if the critiques they give you are frank and useful, they are personal critiques, and probably don't reflect the reactions of the reading public. You need an editor. What does an editor do that is so important? An editor will give you an objective professional appraisal of your work -- what is wrong with it and what is good about it. An editor will analyze your writing and tell you where it needs more work and what kind of work it needs. A good editor will do this in such a way that you return to your writing with a new enthusiasm and a determination to give it that finishing polish that makes the difference between good and great. You're the author -- only you can give it that final gloss but a good editor can tell you just exactly where it needs that extra work. What do those famous writers I mentioned have in common? They all had the same editor, Max Perkins. Hemingway was a great writer but the bulk of his memorable work was published before 1947. Max Perkins died that year and many Hemingway scholars attribute the decline in Hemingway's writing after 1947 to the loss of Perkins' editorial guidance. Pascal Covici? He was John Steinbeck's editor (also Theodore Dreiser's). Steinbeck valued his advice (and criticism) so highly that they became lifelong friends. 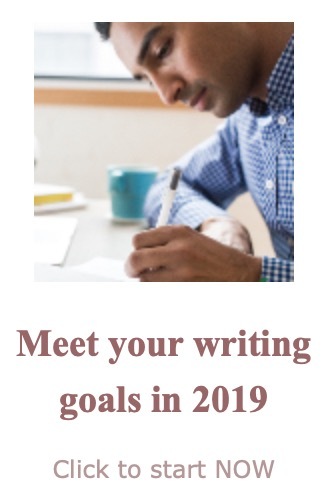 In fact, there are few critically or popularly successful authors who have not had an editor to help them shape their work and give it that final polishing. If you read the acknowledgements found in the frontispieces of most books you will usually find an editor's name among those that the author feels have contributed to the work. 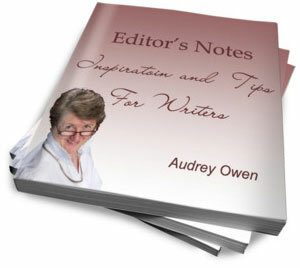 When I came to Audrey Owen my stories had already been read and criticized by other people. Some readers raved and some were less than complimentary. But despite the often knowledgeable and helpful remarks I gleaned from forums and workshops, when I decided to self-publish I knew that I needed an editor because every writer has blind spots. Editing is very hard work and while you may receive some good advice for free nobody is likely to give your work the kind of intense professional scrutiny it needs or to give you the kind of comprehensive feedback you need unless they are paid to do it. Thinking that you can do your own editing is a little like planning to do your own dental work. They are your teeth but chances are that a professional will do a better job. A dentist can see what's wrong more clearly and has special skills that you lack. Audrey has the special skills of an editor, including an unerring eye for the rightness (or wrongness) of a phrase or a word. This is more than correct or incorrect and has to do with the spirit of the piece and the style of the writer, aspects that no word-processing program can recognize. She also has the abilities to understand the work as a whole and to pinpoint areas where it has drifted away from its purpose or where the writer has become self-indulgent or self-important. It's never easy to let your writing come under this kind of scrutiny, but Audrey is just and sweetens the bitter pills by recognizing the outstanding aspects of your work as clearly as she sees its flaws. Send her 500 words and see what she can do. It won't cost you anything* and you will at least have the benefit of an educated opinion on your work. At best you will discover an editor who can help you turn your good work into something truly professional. The editor-writer relationship cuts both ways. Benjamin is a great story-teller. He had me laughing and crying while I was editing his book. His short stories expose both the heart of Africa as he knows it and his own heart of care for children. You will not get the editing services of Max Perkins here, but you can have a sample edit from a professional editor. *When Benjamin wrote this, sample edits were free. Due to their huge popularity, there is now a small fee that is rebated when the writer chooses a paid edit.